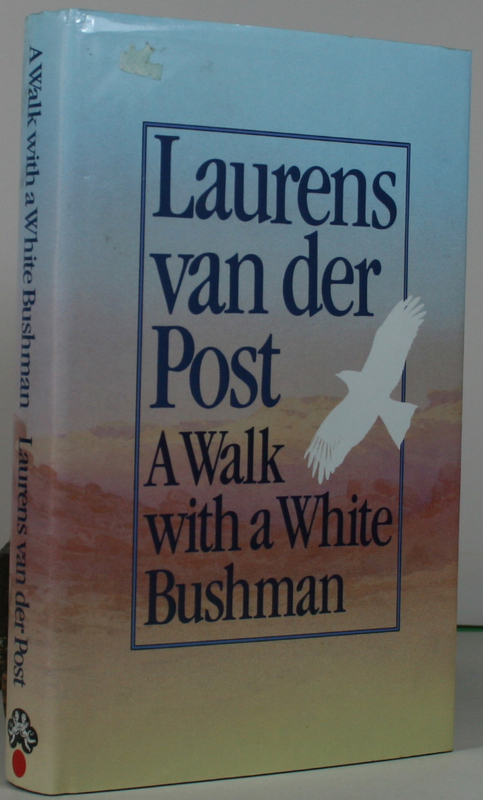 Home / Myths Legends and Folklore / A Walk with a White Bushman. 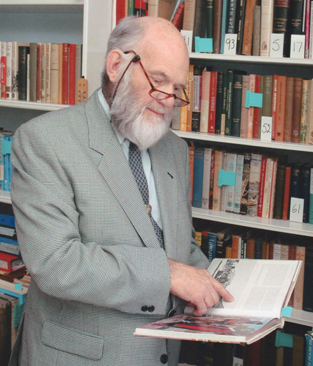 Whether writing or speaking,Laurens van der Post has that rare ability to rouse the imagination and reach to the soul,to enlarge horizons,even to change peoples lives.No one knows better than Jean-Mark Pottiez,a fellow ‘Eurafricasian'(as he calls the author,with whom he shares a deep-rooted attachment to Europe,Africa and Japan) and the prime mover of this book.The result is a book brimming with ideas,insights,people and events;at once thoughtful and exciting,mellow yet full of promise,autobiographical but also topical. H/b in nice clean boards,in a v/g clean and sharp printed d/w,there is some small remnants of a label stuck to one corner.Size 9×6 pp XXI+326,inc index,no plates text only.Hinges strong Binding tight (suggest unread) No foxing or staining,slightly age-browned around the outer edges,otherwise nice and clean throughout.This copy is almost as new. 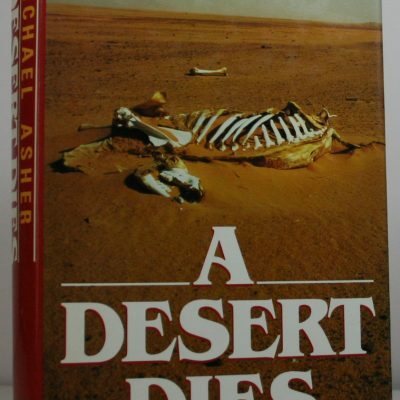 The Besieged Desert. 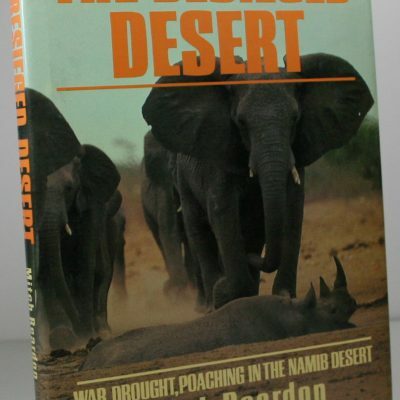 War,Drought, Poaching in the Namib desert. 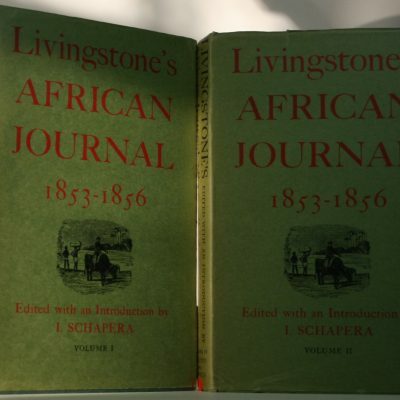 Livingstone’s African Journal.In two volumes. 1853–1856.